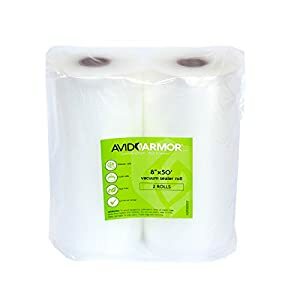 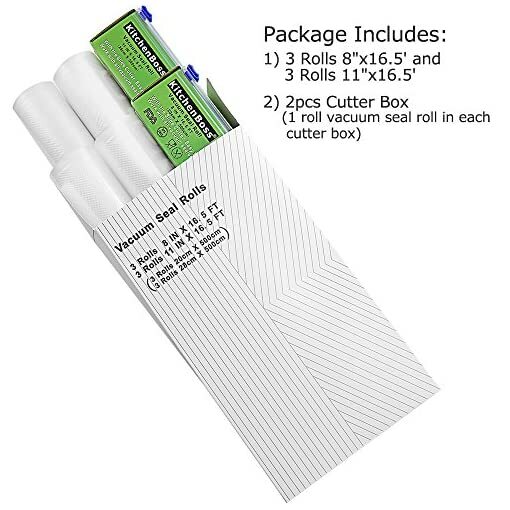 ✓BETTER VALUE AND EASY TO USE: Includes 3 rolls 8″x16.5′ and 3 rolls 11″x16.5′ and 2pc cutting box . 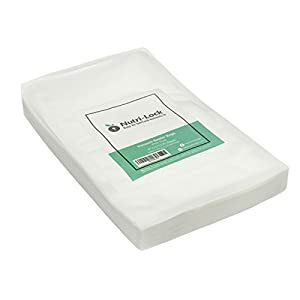 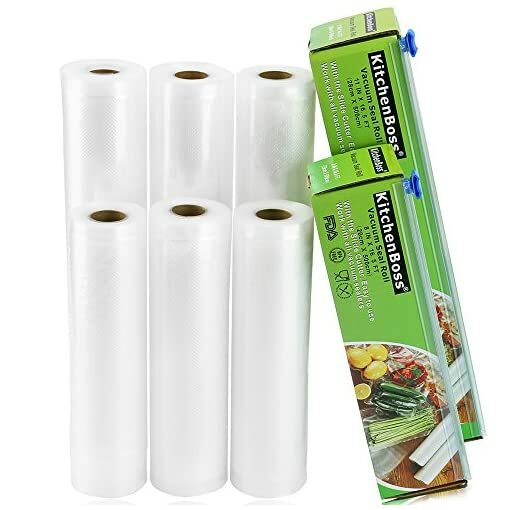 KitchenBoss food saver bags rolls come with newly designed cutting box. 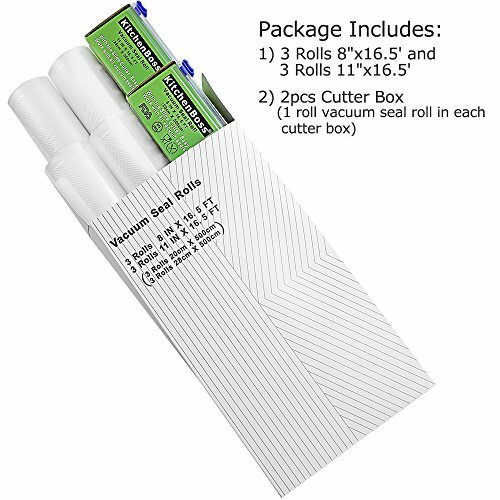 ✓BETTER VALUE AND EASY TO USE: Includes 3 rolls 8″x16.5′ and 3 rolls 11″x16.5′ and 2pc cutting box . 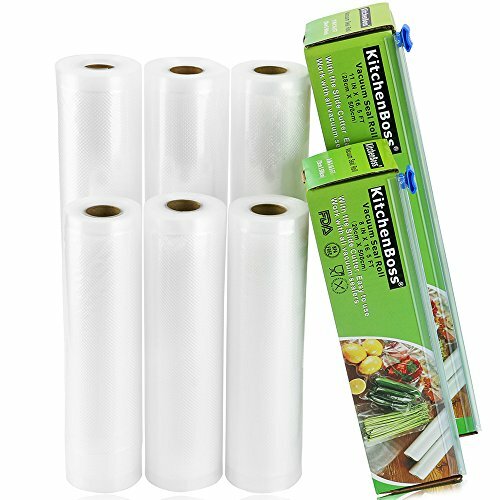 KitchenBoss food saver bags rolls come with newly designed cutting box. 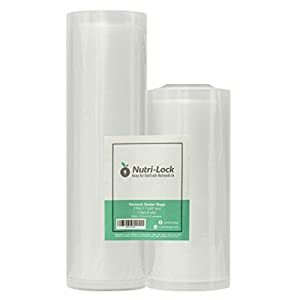 This eliminates the fussing with scissors and no longer worry about the bags rolling freely. 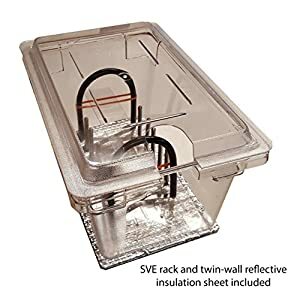 The box can be reused. 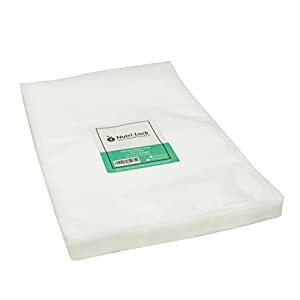 ✓HIGH QUALITY: Safe, Nontoxic, Good vacuum effect, High transparency, Tensile strength and durability, Easy to heat sealing, Sealing good, not easy ageing etc. 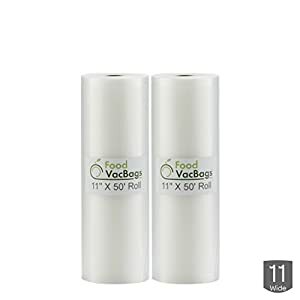 ✓SAFE, CONVENIENT, RISK FREE: BPA-free,FDA approved. 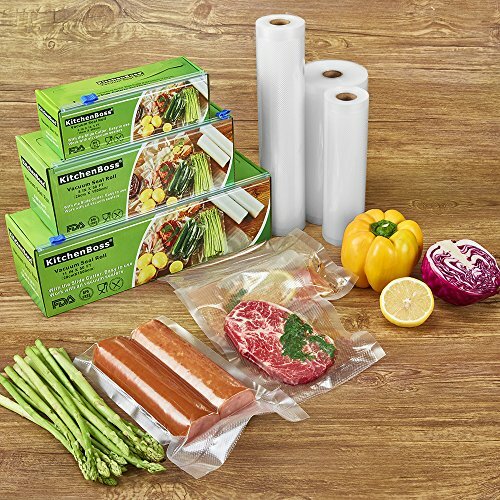 Can be microwaved, frozen, re-used, washed, boiled and dishwasher safe. 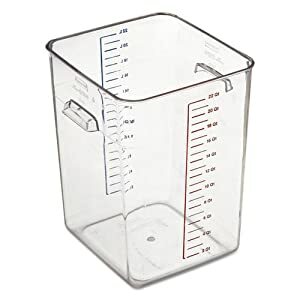 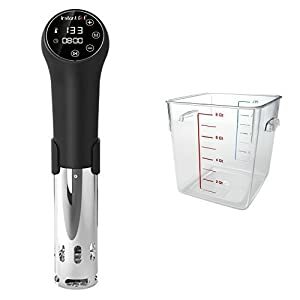 Great for Sous Vide Cooking. 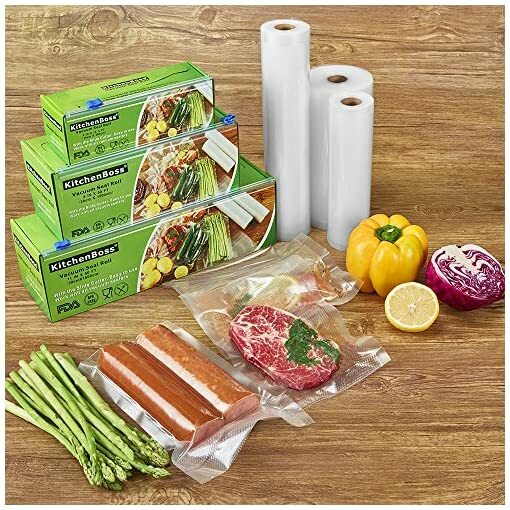 ✓WORKS IN ALL VACUUM SEALER MACHINES: Designed for use with all vacuum sealers. 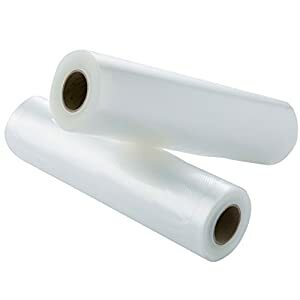 ✓EASY TO CUT AND SEAL: One side recess groove design, other side glossy transparent design. 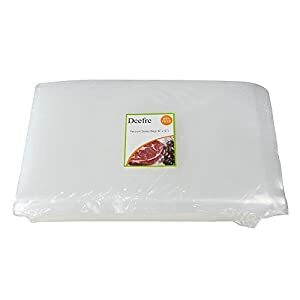 4 mil Heavy-duty bags with embossed air-removal channels for maximum freshness.